Google Trips does make you travel easier … if you make it’s life easier. It automatically recognizes the email from big name booking websites (e.g. booking.com, airbnb) as well as airline. But if you order is from independent providers like many caravan parks, you are out of luck. You cannot even add them even you want to type everything yourself. Google Trips also cannot capture the booking or reservation change via phone. You cannot blame them to not having this feature, but practical product should be able to allow user to make change. Google Trips does have its strength beside the auto trips creation. It provides a easy way to add city (but not necessary add reservation) and downloads offline maps that include Google reviews on “things to do” and “food and drink”. TripIt offers some kind of automation, but you have to mail to plans@tripit.com, which is an extra step from Google Trips. Airlines and big name booking sites also got good support there: the important fields like date, confirmation number are prefilled. You do have to enter the information for smaller providers, but at least you CAN enter them. Not to mention that you can enter the cost in each item to track the total cost. My advice? Install both of them. Use TripIt for handling the accommodation, airticket, car hire. And use Google Trips for local food and attraction. The Bus factor measures the degree of the knowledge sharing. High number means the knowledge is well shared. For example, bus factor 10 means 10 team members need to be “neutralized” to stop the project working. This lead to the following issue: How to introduce it to your team members. Even it is called *bus factor* does not mean you should introduce as such. Are you trying to curse me? That’s right. It triggers all negative feeling and reaction. In other words, that will not help knowledge sharing. A good way to get around this is terming it with holiday factor instead. Ah, holiday, this associate with more pleasant mood, thus make the concept much easier to be delivered and heard. And, hey, we do need to consider the impact of long holidays like Christmas and Chinese New Year. Yet, everything has it own limitation, and the “bus factory” is no exception. One of my respected colleague, Seth Vidal, was indeed killed in car accident, and his project, yum, is postponed. However, dnf takes its place and has been adopted by Fedora community since Fedora 22. 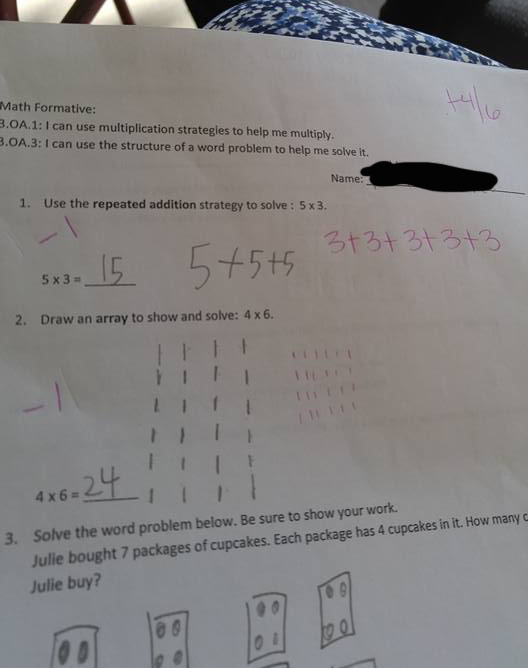 A child was marked as incorrect for translating “5×3” to “5+5+5” on a grade school math test. According to Common Core: Represent and solve problems involving multiplication and division, 5×3 should be interpret as 5 groups of 3 objects each, which means 3+3+3+3+3. When thinking of multiplication as repeated addition, the number to be multiplied is called the “multiplicand”, while the number of addends is called the “multiplier”. Right to left writing, which is not a usual practice in English. in .profile. Then after a few days, all GTK related programs stop working. from gedit, gvim, emacs, to Firefox all stop at various warning. for other programs, yet none worked. This environment variable can be set to a list of debug options, which cause GLib to print out different types of debugging information. Causes GLib to abort the program at the first call to g_warning() or g_critical(). In other words, it makes GTK programs fail on whichever warning it encountered. And most likely, most people does not set AT-SPI properly. Thus it will failed immediately after AT-SPI warning messages. If it returns empty, then you don’t have G_DEBUG. I do believe all of the concepts you have offered to your post. They’re really convincing and will definitely work…. Problem of this post is, I wasn’t making any concepts but the functionality I want. I did not find any link in the reply body, then what are they trying to advertise? What do they use to carry the advertisement? The answer: his/her user name, which link to some adult website.